India has signed more treaties with Russia than with any other country, indicating that the process of engagement between the two countries continues to remain high. International treaties are powerful instruments of cooperation between nations. If the number of treaties signed is an indicator of the state of relations, then Russia and India are clearly hitting it off. As per the Ministry of External Affairs' treaty list, India has signed the highest number, 69, with Russia, closely followed by China, 67, and France, 24. The United States trails in fourth place with 19 treaties, followed by Germany 18, Korea 16, Canada 15, Vietnam and South Africa 14 each, Israel 11, Japan 13, Saudi Arabia 12, Italy 11, the UAE 10, and the UK bringing up the rear among major nations, with just nine. To put things in perspective, India has signed a total of 150 treaties with the four fellow members of the BRICS group, as against 70 pacts with the four largest western economies – the US, Germany, France and Italy. If there’s any doubt that these numbers reveal the diplomatic pecking order in Delhi, one only has to look at the figures from South Asia. In its neighbourhood, India has inked the maximum number of agreements with Bangladesh at 20, followed by Pakistan 12, Afghanistan six, and Sri Lanka and Nepal five each. Now, there’s no doubt Delhi and Dhaka are seriously mending fences, with Bangladeshis shedding the high-pitched anti-India rhetoric of previous decades. India’s eastern neighbour has also gone after those who collaborated in the single biggest holocaust since World War II – the murder of about three million Bengalis by the Pakistanis in 1970-71. India has reciprocated by making concessions in territorial negotiations. Moreover, the treaty adds that both countries will consult in matters related to G20 related issues, BRICS, and the Russia-India-China format. 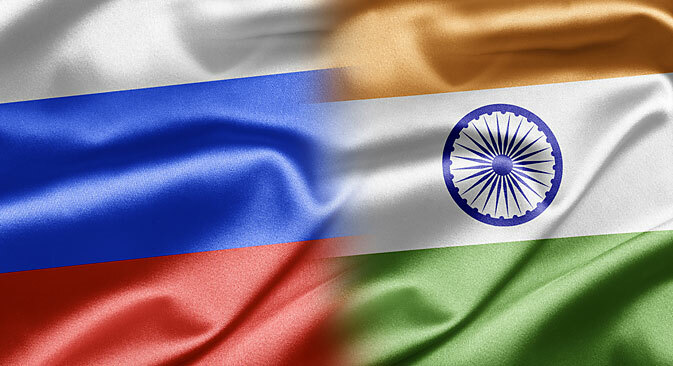 Moscow and New Delhi will also confer on issues concerning South Asia, South West Asia, Central Asia, European Union, Asia-Pacific Region, West Asia (Middle East) and North Africa, and the principal directions of the Shanghai Cooperation Organisation. Though hardly in the class of the secret 1971 Indo-Soviet defence pact – which stated that each country will come to the aid of the other if attacked (and which was activated during the 1971 India-Pakistan War) – the above treaty is as close as you can get these days without entering into a military pact. In fact, there is no parallel to this treaty with any other agreement signed with another country, which is a measure of the strategic nature of the Russia-India engagement. Both nations have inked agreements in a wide range of sectors. As well as the more prominent ones on military cooperation and defence technology, there is the Cultural Exchange Programme between India and Russia for 2013-2015; Science, Technology and Innovation (December 24, 2012); Satellite Based Navigation Services (December 24, 2012); Direct Investment (December 24, 2012); Protocol of the XVIII session of the India-Russia Inter Governmental Commission on Trade & Economic, Scientific & Technical and Cultural Cooperation (October 15, 2012); MoU between the Competition Commission of India and the Federal Antimonopoly Service of Russia (December 16, 2011) and MoU between the Central Drug Control Organisation of India and the Federal Service on Surveillance in Healthcare and Social Development of Russia (December 16, 2011). The one sticking out is the 2007 agreement between the Indian Space Research Organisation and the Russian Federal Space Agency on cooperation in the field of joint moon exploration. It says, “Cooperation between the parties within the framework of the agreement shall comprise joint realisation of spacecraft for moon exploration including the Moon Orbiter Module, and the Moon Lander and Rover Module.” Unfortunately, no progress was made in this area. Of the 19 pacts inked with the US, the majority are in the realm of science and technology – a pointer to the leading position that the Americans occupy in this field. While the India-US relationship has entered into some sort of freeze after the humiliating strip search of a female Indian diplomat by American agents, India continues to be attracted to the US high technology sector to improve its competitive edge. This is unlikely to change in the future and it shouldn’t. Just like Britain’s industrial revolution received an impetus from money looted from India and scientific knowledge purloined from the country by British colonialists and Jesuit Christian missionaries, India too needs to absorb cutting edge technology from the West. Again, with the UK no major pacts have been signed, a sign of India’s general drift from the West to the East. With China and Japan, India has mainly entered into agreements not only in the economic sphere but also in the areas of cultural contacts – a key ingredient of New Delhi’s Look East Policy that aims to foster closer relations with Asian countries that share deep-rooted historical – albeit little known –ties with India. In this backdrop, treaty negotiations reveal also whether diplomats have an appreciation of the culture and interests of their counterparts sitting across the table. Without such an understanding, diplomats are extremely unlikely to get to the dotted line.